Klara Walldeen, orphaned as a child and brought up by her grandparents on a remote Swedish archipelago, is now a political aide in Brussels. And she has just seen something she shouldn't: something people will kill to keep hidden. On the other side of the world, an old spy hides from his past. Once, he was a man of action: so dedicated to the cause that he abandoned his baby daughter to keep his cover. Now the only thing he lives for is swimming in the local pool. Then, on Christmas eve, Klara is thrown into a terrifying chase through Europe. Only the Swimmer can save her. But time is running out... 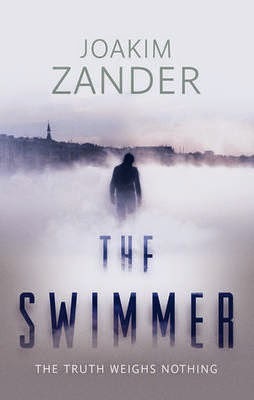 The Swimmer is the debut novel by Joakim Zander and is due to be published in July 2014. 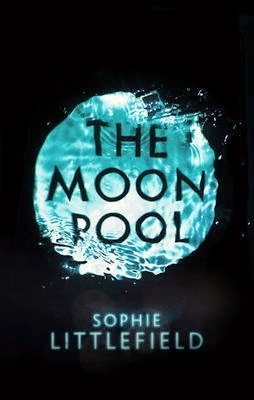 The Moon Pool is by Sophie Littlefield and is due to be published in October 2014. North Dakota is like nowhere Colleen has ever seen. Vast rolling plains of silvery snow, studded with shimmering black pools, lit by occasional flares of orange light. It is a landscape both beautiful and terrible. It is the landscape that swallowed her son. Across town, another mother also searches for her missing boy. He too went missing from the oilfields where he worked. And no one - not his employers, not the police - seems to care that he is gone. As long as they are alone, these two women will never find out the truth. But if they team up, and help each other, then maybe, just maybe, this freezing wilderness will give them back their sons. C.J. Box has been consistently hailed for his brilliant storytelling and his extraordinary skills at creating character, suspense, and a deep sense of place. 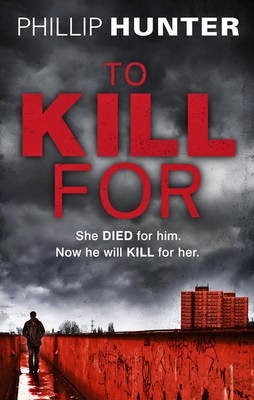 All of those strengths can be found in the ten riveting stories - three of them written especially for this book - that make up Shots Fired. In 'One-Car Bridge,' one of four Joe Pickett stories, Pickett goes up against a 'plain mean' landowner, with disastrous consequences, and in 'Shots Fired,' his investigation into the radio call of the title nearly ends up being the last thing he ever does. In 'Pirates of Yellowstone,' two Eastern Europeans, strangers in a strange land, hear that American tough guys can be ruthless, but it's not till they try strong-arming one that they discover the real truth of the statement; and in 'Le Sauvage Noble,' a Lakota Indian takes a job in the Wild West Show at Disneyland Paris and finds its perks to be pleasant - good wages, decent food, and French women who find his 'noble savage' act to be pretty exotic - that is, until he meets Sophie. Then he finds out what 'savage' really means. 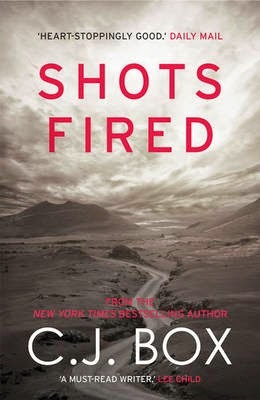 Shots Fired is due to be published in July 2014. Disappeared is by Anthony Quinn and is due to be published in August 2014. In Northern Ireland’s darkest corner, the Troubles have never ended. Though bombs no longer rock Belfast, for some the fight goes on. Retired Special Branch agent David Hughes disappears after looking into the previously closed case of Oliver Jordan, who went missing at the hands of the IRA decades ago. Soon after, a former spy is found bludgeoned to death, the day after placing his own obituary in the newspaper. Beneath Northern Ireland’s modern calm, ancient jealousies threaten to rend the country asunder once more. A Catholic detective in a Protestant nation, Celcius Daly knows too well the agonies of sectarian strife. To solve this string of murders, he must reach decades into the past, confronting a painful history that Ireland would prefer to forget. Bravo Shaw always knew his father had secrets, he just didn't realise how dangerous they were...When Bravo's father dies in mysterious circumstances, his hidden life is laid bare. Dexter Shaw belonged to a secret religious order long thought extinct. For centuries, the sect has guarded a lost Testament that could end Christianity, as we know it. Dexter was the Keeper of the Testament - now his son must take his place. Bravo has to solve the clues his father left behind, locate this precious document, and ward off those who want it destroyed. But his enemies are powerful, and will stop at nothing to keep their secrets buried... 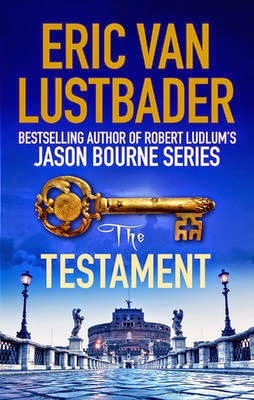 The Testament is by Eric Van Lustbader and is due to be published in August 2014. In Death Sentences: Stories of Deathly Books, Murderous Booksellers and Lethal Literature Sigmund Freud deals with an unwelcome visitor; Columbo confronts a murderous bookseller; a Mexican cartel kingpin with a fatal weakness for rare books; deadly secrets deep in the London Library: who knew literature could be so lethal? Here are 15 short stories to die for from the world's best crime writers. With an introduction from Ian Rankin, Death Sentences includes original, specially commissioned stories about deadly books from Jeffrey Deaver, Andrew Taylor, Laura Lippman, C.J. Box, Anne Perry, Ken Bruen, Thomas H. Cook, Micky Spillaine & Max Adam Collins, Nelson DeMille and John Connolly. Death Sentences is edited by Otto Penzler and is due to be published in October 2014.